For thousands of businesses across the UK, AdBlue is an added requirement when running heavy vehicles which use diesel fuel. The extra cost of this diesel exhaust fluid (DEF) can seem tricky to calculate. We aim to uncover the cost of AdBlue for various applications below. One of the questions we often get asked is ‘how much does AdBlue cost?’ In this blog post, we aim to answer this question by looking at recent AdBlue prices and what a typical UK company can expect to pay overall. The cost of AdBlue to a UK business isn’t just the price per litre of AdBlue itself. Many businesses aim to reduce their AdBlue costs by purchasing in bulk quantities. However, a storage tank will also require purchasing to safely store the AdBlue solution, along with pumps for dispensation. It’s good to factor in these costs when looking at AdBlue prices from suppliers. But, before you start worrying about the price of AdBlue it is also worth noting how much your business will save in emissions. Not only will you be complying with the government’s standards, but you’ll also be able to flaunt your greener company image and potentially win more business. This can more often than not prove lucrative to any type of business. Keeping AdBlue safe from contaminants will help retain its quality and avoid any damage to your vehicle or machinery. If you don’t store your AdBlue correctly, you run this risk of damaging it and this could cost you more should you need to replace it. The price you pay for AdBlue will depend on your fleet. The consumption of AdBlue will depend on your vehicles and their usage. Below is a handy graph to show the consumption levels of commercial vehicles which require AdBlue solution. These consumption levels will hopefully give you an idea of the low volumes of AdBlue solution these large commercial vehicles use. It is roughly 3% of the rate of diesel consumption for lighter vehicles. As with most things, the smaller the volume the higher the price. AdBlue will cost more when you buy it in smaller volumes and 10-litre packs are no exception. Although if you only require a pack size or 2 or 3 packs then you probably won’t require a storage facility, which is one less cost to think about. 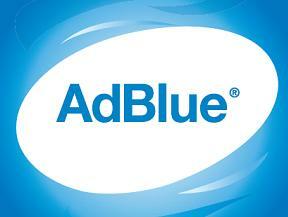 AdBlue in quantities of 205 litres will cost less per litre than 10-litre AdBlue packs. You would just require a pump for dispensing the AdBlue solution which is usually quite cheap to buy. An IBC container will hold 1000 litres of AdBlue and cost much less per litre than packs and barrels. If you want to buy more AdBlue then you’ll benefit from a greater saving as your desired quantity increases. Why Do AdBlue Prices Change? The price fluctuations of AdBlue are due to the prices of the raw products which go into making the solution. AdBlue is made up of Urea and water. There are no active Urea processing plants in the UK today which means demand for Urea can be a contributing factor to price. If the cost of these raw materials rises or falls, the AdBlue price per litre will be affected. This is another reason why some companies buy in bulk when they know the price of AdBlue is low. We source our AdBlue from the Tennants Group. You should be able to use this information as a rough guide to your AdBlue costs. Depending on the current price of AdBlue, your fleet’s consumption, and taking into account your storage costs, you’ll probably find that AdBlue isn’t a huge addition to your business expenses.